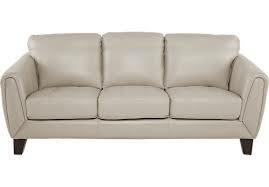 Do you know what your leather sofa is made of? Sounds simple really. The man in the shop said it was leather. It looks like leather. It must be made of leather. Well, it probably is, but there are lots of different types of leather and this brief guide will help you identify what type of leather you have and this will help when it comes to leather cleaning. types such a Nubuck and Suede, but in reality its unlikely that your suite of chair is made of either of those. Why does it matter for leather cleaning? The two main types of leather need to be treated very differently when it comes to cleaning. Use the wrong product and you can cause irreparable damage to your leather. The sofa below on the left show’s a typical pigmented leather whilst the one on the right is aniline. 1. What does it look like? Aniline leather is the top of the hide and will feel soft and sometimes even a little oily. 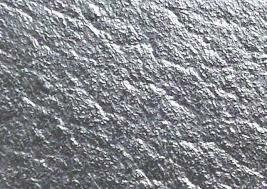 Pigmented leather has undergone much more processing and will often feel harder and perhaps colder. Using a fingernail lightly scrape across the surface. If it leaves a mark then the leather is aniline. If no mark is left its more likely to be a pigmented leather. Using a small amount of liquid on the surface of the leather look to see if it soaks in. If it does it’s likely to be an aniline. If not it could well be pigmented. You need to do all these tests to ensure you are happy what type of leather you have and not reply on just one test. 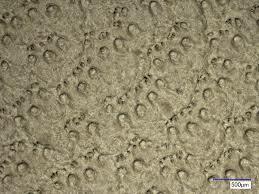 There is one final test that leather professionals will do which is to have a look at the leather under a microscope. Probably not something you can do but is does reveal lots about the type of leather. An aniline leather will, as it’s thee top of the hide , will show the hair follicles , whereas pigmented leather looks more like a lunar landscape as the processing of the leather and the application of the pigment obliterate any trace of the follicles . So here we have aniline on the left and pigmented on the right. So what about leather cleaning? Now you know what type of leather you have ensure you use the correct products for that type of leather. Do not use baby wipes on any leather. Do not believe most of what you read about how to get stains out of leather using household products – they do not work and will only make things worse. 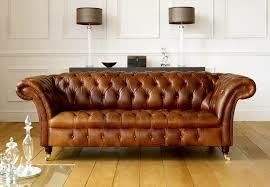 Read our leather cleaning and restoration page and contact us if you need and further information or advice.